‘Personal data’ means any information relating to an identified or identifiable natural person (‘the data subject’); a natural person is regarded as identifiable, who can be identified directly or indirectly, in particular by association with an identifier such as a name, an identification number, location data, an online identifier or one or more special features, the expression of the physical , physiological, genetic, mental, economic, cultural or social identity of this natural person. Further explanations of terms can be found in Art. 4 GDPR. In principle, we process personal data of our users only insofar as this is necessary for the provision of a functional website as well as our content and services (ie also for the fulfillment of the contract).Otherwise, we process personal data of our users regularly only with the consent of the user. An exception applies to cases in which prior consent is not possible for reasons of fact and the processing of the data is permitted by law. Insofar as we obtain the consent of the data subject for processing of personal data, Art. 6 para. 1 lit. a and Art. 7 EU General Data Protection Regulation (GDPR) as legal basis. In the processing of personal data necessary for the performance of a contract of which the data subject is a party, Art. 6 para. 1 lit. b GDPR as legal basis. This also applies to processing operations required to carry out pre-contractual measures. Insofar as the processing of personal data is required to fulfill a legal obligation that our company is subject to, Art. 6 para. 1 lit. c GDPR as legal basis. If processing is necessary to safeguard the legitimate interests of our company or a third party, and if the interest, fundamental rights and fundamental freedoms of the data subject do not outweigh the former interest, Art. 6 para. 1 lit. f GDPR as legal basis for processing. In the event that vital interests of the data subject or any other natural person require the processing of personal data, Art. 6 (1) lit. d GDPR as legal basis. If we process data outside the European Union or the European Economic Area (“third country”) or if third parties whose services we use process data in a third country or if this happens in the course of disclosure or transmission of data to third parties, this is only for Fulfillment of our (pre) contractual obligations, based on your consent, due to a legal obligation or based on our legitimate interests. Basically, we leave the data processing in a third country only on the basis of the conditions of Art. 44 ff. GDPR, exceptions may apply to legal or pre-contractual permissions. If processing takes place in a third country, then on the basis of guarantees such as an officially certified determination of a data protection level that corresponds to that of the EU (e.g.The US Privacy Shield) or on contractual obligations that are officially recognized (“Standard Contractual Clauses”). If we process data to third parties, disclose data or grant access to data to third parties, it ist on the basis of Art. 28 GDPR: a so-called “data processing agreement”, your consent, a legal obligation or because of our legitimate interests. In the listed purposes, our legitimate interest in the processing of data according to Art. 6 para. 1 lit. f GDPR. The data will be deleted as soon as it is no longer necessary to achieve the purpose of its collection. In the case of collecting the data for providing the website, this is the case when the respective session is completed. In the case of storing the data in log files, this is the case after no more than seven days. An additional storage is possible. Then the IP addresses of the users are deleted or alienated, so that an assignment of the calling client is no longer possible. This applies for example, for visits to our website that are stored for 60 days. The legal basis for the processing of personal data using cookies is your consent Art. 6 para. 1 lit. a GDPR. If this data arises in the course of an agreement (in the case of form data), the legal basis is Art. 6 para. 1 lit. b GDPR. If cookies are disabled for our website, it may not be possible to use all the functions of the website to the full. When contacting the provided e-mail address, by telephone or via social media, the user’s data provided and transmitted by the user for the purpose of processing the contact request and processing it are stored and processed. We use the transmitted data exclusively for the processing of the conversation. We expressly point out that the transfer of data on the Internet (e.g. in communication via e-mail) may have security flaws. A complete protection of the data from access by third parties is not possible. The data sent by e-mail or generated when sending an e-mail is stored on the server of our e-mail service provider in the USA. We use Google Suite, a service provided by Google Ireland Limited, Gordon House, Barrow Street, Dublin 4, Ireland. The legal basis for the processing of the data transmitted in the course of sending a contact is Art. 6 (1) lit. f GDPR. If the conclusion of a contract is the target of establishing contact, Art. 6 para. 1 lit. b GDPR additional legal basis for processing. The processing of personal data from a contact serves us to process the same. At the same time this is the necessary legitimate interest in the processing of the data. The data will be deleted as soon as they are no longer necessary for the purpose of their collection and if the deletion does not conflict with any legal archiving requirements. For personal data sent when you contact us, this is the case when the respective conversation with the user has ended. The conversation ends when it can be inferred from the circumstances that the facts are finally clarified. We check the necessity of storage every two years. The user has the opportunity to revoke his consent to the processing of personal data at any time. If the user contacts us by e-mail, he may object to the storage of his personal data at any time by e-mail or in writing. In such a case, the conversation can not continue. The legal basis for the processing of data is Art. 6 para. 1 lit. b (execution of order transactions) and lit. c (legally required archiving) GDPR. Required information is marked as such if it is necessary to justify and fulfill the contract. Third parties will only disclose this information for the purpose of delivery, payment or within the scope of the legal permissions and obligations to legal advisers and authorities. Processing in third countries will only take place if necessary to fulfill the contract (e.g.Delivery or payment). The processing of personal data from the input mask is used to provide contractual services in the context of the operation of an online shop, billing, delivery and customer service. In the case of an order by e-mail, this applies accordingly. The data will be deleted as soon as it is no longer necessary to achieve the purpose of its collection. For the personal data from the input form of the order form and the data sent with the e-mail, this is the case if the order based on the order is fulfilled and the statutory warranty (expires after 2 years) and comparable Obligations and legal archiving periods (commercial law (6 years) and tax law (10 years) retention obligation) have expired.The necessity of keeping the data is checked every three years. The collection of data for ordering via an order form on our website is required for order processing. There is consequently no contradiction on the part of the user. Alternatively, users can also order by e-mail. In this case, the user’s personal data transmitted by e-mail will be stored. If necessary, data of third parties (author, clients – in the latter case the provision of personal data is voluntary) are processed. As a submitter, please ensure that these individuals agree to the submission and disclosure of your submission data. The third parties whose personal data were provided by the submitter will be informed by us in accordance with the statutory requirement pursuant to Art. 12 para 1, 14 GDPR concerning the data processing, the persons responsible and their contact details, the legal basis and purpose of the data processing, storage duration and data subject rights. The legal basis for the processing of data from these forms is the fulfillment of the contract or pre-contractual measures, Art. 6 para 1 lit. b GDPR. Purpose of the data processing is the selection of projects for the publication on our website and our social media channels or in the fair design yearbook published by us. As part of the selection process, it comes to queries to submitter, author and client, so we need the contact details of the respective contact persons. If the project is selected and published by us, the author and the client are named, but not the contact persons with their contact details. The data is deleted if it is no longer needed for the purpose – selection and publication of projects. In the event of non-selection of a project, the data is no longer required after decision-making and communication hereof. If a project is selected, the data will be needed for possible questions until it is published. Since the sending of the form is qualified as a business letter in the sense of commercial law, we are obliged to keep the form data for six years. If no other legal storage requirements are met then the data will be deleted. In all cases, the necessity of storage is checked every two years at the end of the year. On our website you can subscribe to free newsletters. Here, the so-called double-opt-in procedure is used: After registering you will receive an e-mail with a link, with which you can confirm their registration by clicking. This procedure is designed to prevent anyone from logging in with a foreign email address. Registration and confirmation of the registration for the newsletter are recorded, so that we can fulfill our legal obligation to prove the registration process. By registering and activating the subscription you agree to the receipt and the described procedures. We send newsletters, e-mails and other electronic notifications exclusively with the consent of the recipient or a legal permission. Contents, which are described with the registration to the newsletter are decisive for the user consent. Otherwise, our electronic mailings contain information about our (service) services and us. If you purchase goods or services on our website and deposit your e-mail address here, this can subsequently be used by us for the newsletter dispatch. Rapidmail may use pseudonymized data (without assignment to a user) to technically optimize the delivery or to improve the newsletter presentation or to use for statistical purposes. The data are not used by rapidmail to write to the newsletter recipients themselves or to pass the data on to third parties. When registering for the newsletter by the user, the legal basis for the processing of the data in the presence of the consent of the user Art. 6 para. 1 lit. a GDPR in conjunction with § 7 Abs. 2 no. 3 UWG. The legal basis for the dispatch of the newsletter as a result of the sale of goods or services is § 7 Abs. 3 UWG. 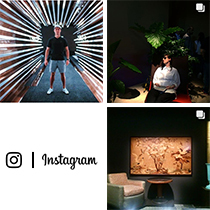 Other personal data that are collected in the context of the registration process, serve to prevent misuse of the services and / or the e-mail address used, as well as our legitimate interest in accordance with Art. 6 para. 1 lit. f GDPR, to be able to prove the registration procedure by double-opt-in. Collecting the e-mail address of the user serves to deliver the newsletter and to inform about us, our offer and our services. In addition, data processing serves to prevent abuse and to ensure the demonstrable double-opt-in procedure. The data will be deleted as soon as it is no longer necessary to achieve the purpose of its collection. The user’s e-mail address will be saved as long as the subscription to the newsletter is active. Subscription to the newsletter may be terminated at any time by the user concerned. For this purpose, there is a corresponding link in each newsletter. You can revoke your consent to the storage of the data and its use for newsletter dispatch at any time by unsubscribing from the newsletter, e.g. 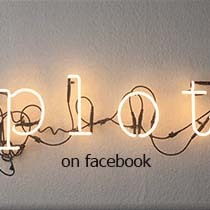 via the unsubscribe link in the newsletter or via informal e-mail plot@PLOTmag.com . Based on our legitimate interest in being able to prove that the use of the e-mail address for the newsletter has been made on the basis of a given consent, we may save the e-mail address that has been submitted up to three years before the final deletion.These data are used exclusively for a possible attack defense. Alternatively, you can submit a request for cancellation, which we are happy to comply with in the event of confirmation of a previously existing consent. Our e-mails sent with rapidmail contain a pixel-sized file (“tracking pixel”), which connects to Rapidmail’s servers when the e-mail is opened, allowing us to see if a newsletter message was opened. All links contained in a newsletter e-mail are so-called “tracking links”, with which the clicks of the users can be counted. For more information about the analysis features of Rapidmail, see: https://de.rapidmail.wiki/ categories / statistics . Please note that we do not use the advanced analysis tool, only the standard analysis. The data processing takes place on the basis of your consent (Art. 6 para 1 lit. a GDPR). You can revoke this consent at any time. The legality of the already completed data processing operations remains unaffected by the revocation. For technical reasons, the information, whether a newsletter e-mail was opened and links were clicked (not which, but only if that happened) can be assigned to the individual recipient of our newsletter news, but do not serve us, the individual user but to adapt our content to the reading habits of our users or to create user segments and to send different content according to the interests. You can also find out more about the data security information from Rapidmail: https://www.rapidmail.de/datensicherheit . Subscription to the newsletter may be terminated at any time by the user concerned. You can revoke your newsletter subscription and your consent to the storage of the data and their future use for newsletter distribution at any time by unsubscribing from the newsletter, e.g. via the unsubscribe link in the newsletter or via informal e- mail to plot@PLOTmag.com .The termination of the newsletter also ends the success analysis of the newsletter sent to you for the future. Based on our legitimate interest in being able to prove that the use of the e-mail address for the newsletter has been made on the basis of a given consent, we may save the e-mail address that has been submitted up to three years before the final deletion. These data are processed exclusively for a potential attack defense. Alternatively, you can file a request for cancellation, which we will gladly comply with when confirming formerly existing consent. Data from the newsletters analysis for messages sent during the active subscription is currently still available for technical reasons. Google Analytics tracks our websites only after active acceptance of the cookies by the visitors/users of the website and is only used with activated IP anonymization. The IP addresses of our users are shortened by Google within the European Union or other parties to the Agreement on the European Economic Area and transferred only in exceptional cases in full length to a Google server in the US and only then shortened. A combination of the transmitted IP addresses with other data from Google does not take place. This data processing by Google takes place on the basis of a “order processing contract” in accordance with Art. 28 GDPR. Our use of Google Analytics is based on our legitimate interests in accordance with Art. 6 para. 1 lit. f GDPR. The purpose of Google’s data processing is to receive reports on the use of our online presence, in order to be able to analyze and optimize our offer and its acceptance by users in order to be able to provide content and (service) services to users’ interests as well as our interest in the economic operation of our online presence. These reports come about through the evaluation of the use of our online presence and the activities within it. From the data processed by Google, pseudonymous usage profiles can be created within the scope of the evaluation. After 14 months the personal data will be deleted or anonymised. With a corresponding setting in the browser, the storage of cookies can be prevented. If necessary, please inform yourself how and where you make the settings in the browser you are using. With the installation of the Google Analytics Optout browser plug-in (available at the following link: http://tools.google.com/dlpage/gaoptout?hl=de) you can capture the data generated by the cookie and information about your use of our online presence. Our online presence include communication channels in the social networks about which we communicate with our customers, prospects and business partners and inform about us and our services. The legal basis for the processing of the data transmitted in the course of making contact via social media is Article 6 (1) lit. f GDPR. If the establishment of contact aims at the conclusion of a contract, then additional legal basis for the processing is Art. 6 para. 1 lit. b GDPR. When users communicate with us through these channels (writing posts and comments, or sending messages to us), we process users’ information to process that contact. The data will be deleted as soon as they are no longer necessary for the purpose of their collection and if the deletion does not conflict with any legal archiving requirements. For personal data sent when you contact us, this is the case when the respective conversation with the user has ended. The conversation ends when it can be inferred from the circumstances that the facts are finally clarified. We check the necessity of storage every two years. For the handling of the data by the respective social network, we refer to the above-mentioned documents of the respective platform. The user has the opportunity to revoke his consent to the processing of personal data at any time. If the user contacts us via a social network, he may object to the storage of his personal data with us at any time with a message via the same communication channel, by e-mail or in writing. In such a case, the conversation can not be continued. All personal data stored in the course of contacting will be deleted in this case. If it is a comment or other reaction to Platform, he or she may remove it from their account. For the integration of videos we use among others the provider Vimeo. Vimeo is operated by Vimeo, LLC, with headquarters at 555 West 18th Street, New York, New York 10011. Vimeo may associate this information with your personal user account at Vimeo if you are logged in while playing. You can prevent this assignment by logging out of your Vimeo user account before using our website and by deleting the corresponding cookies stored on your computer from Vimeo. For more information about data processing and privacy by Vimeo, see https://vimeo.com/privacy . The legal basis for this are our legitimate interests (analysis, optimization and economic operation of our online services) in accordance with Art. 6 para. 1 lit. f GDPR. In order for the video content to be sent to the users’ browsers, the third-party vendors, here Vimeo, must use the IP address of the caller, so it is necessary for the presentation of the content. For the integration of videos we use among others the provider Youtube. YouTube is powered by YouTube LLC, headquartered at 901 Cherry Avenue, San Bruno, CA 94066, USA. YouTube is represented by Google Ireland Limited, Gordon House, Barrow Street, Dublin 4, Ireland. YouTube may associate this information with your personal user account on YouTube if you are logged in while playing. You can prevent this association by logging out of your YouTube user account and other user accounts of the companies YouTube LLC and Google Inc. before using our website and deleting the corresponding company cookies stored on your computer. Please see https://policies.google.com/privacy for more information about data processing and privacy by YouTube (Google) . Opt-out: https://adssettings.google.com/authenticated . In order to be able to send the content to the users’ browser, the third party providers, here YouTube, have to use the IP address of the caller, so it is necessary for the presentation of the content. Your consent as the basis for our data processing can be withdrawn at any time with effect for the future. For this, an informal message to us is enough. You can use the contact details above. You may object to the processing of your personal data insofar as the processing pursuant to Art. 6 para. 1 sentence 1 lit. f GDPR (“legitimate interests”) (Art. 21 GDPR). However, according to Art. 21 para 1 sentence 1 GDPR, an obligation to implement your objection only exists if you give us reasons of overriding importance that result from your particular situation. Your personal data will no longer be processed unless there are compelling legitimate grounds for processing that outweigh your interests, rights and freedoms, or if processing is required by law or in connection with legal claims. Pursuant to Art. 77 GDPR, you have the right to complain to a supervisory authority if you have come to the conclusion that the processing of the data concerning you violates the requirements of the GDPR. The data entrusted to us and the protection of it are important to us, therefore we take appropriate technical security measures to protect your data against loss, destruction, disclosure and access by unauthorized persons and adapt these always to the technical advancements. We expressly point out that data transfer on the Internet does not allow complete protection of the data. Links to other providers not affiliated with us are beyond our control and responsibility. We do not have any information as to what data will be processed by these providers if you click on these links. It is beyond our control how and what data is processed, so we assume no responsibility for it. To find out about the data processing practices of these providers, please use their respective information for data processing and data protection.